Young Legend Nights with Eric Bellinger and Ro James Draws a Star-Studded Crowd to Hollywood | RESPECT. 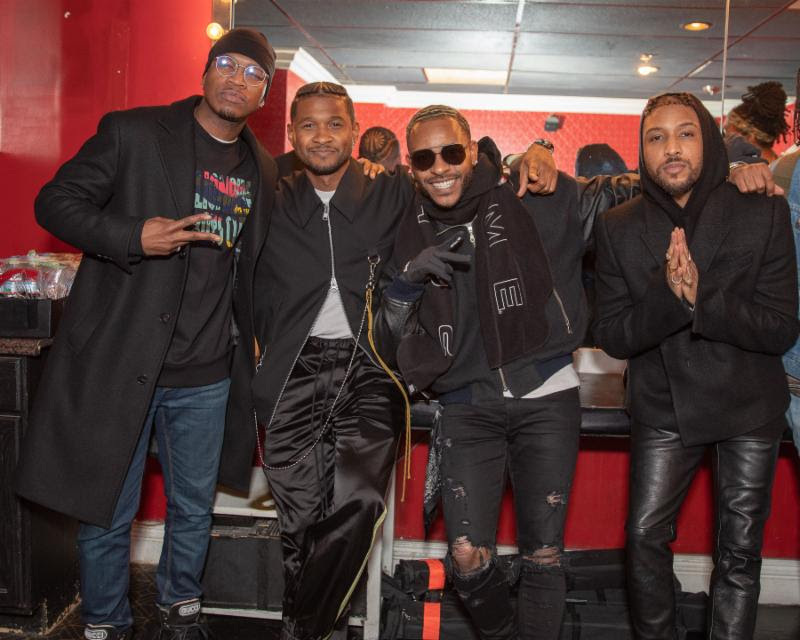 Award-winning artist Eric Bellinger and “Permission” singer Ro James were the legendary performers featured at the opening of the Young Legend Nights event series at the historic Avalon Theater in Hollywood on Sunday. The high-energy event drew the attention of LA’s entertainment industry, as Usher, Ne-Yo, Tweet, AD, and Jane Handcock pulled up to the Echoing Soundz red carpet, joined by Sean Young of Young Legend Entertainment, Juhahn Jones, Crystal Smith, Lola Monroe, Kevin McCall, Chanel Westcoast, King Los, DJ Damage, Marcus Black, V Boseman, Sincere Show, TMG Fresh, Wild N’ Out dancer Dan Rue, Napoleon Williams of Tiny Impact Co., and many others. Beyond the paparazzi outside, the concert delivered an amazing vibe with a full house of fans rocking out to the smooth vocals of James and Bellinger. “Legend” is a title that many artists strive for, but few have the catalog or versatility to earn that title the way these artists have. After LA weekly asked its readers last week if he holds the crown as the “reigning king of R&B,” and a recent social media feud on the topic (fueled by an IG video featuring Bellinger and Usher in the studio), Eric Bellinger didn’t hesitate to bring his A-game to the packed Avalon theater. The “legend” label was well-earned by both headliners as Ro James rocked the house with a lit live band and Bellinger gave the crowd hit after hit while they shouted out requests for their favorites. LT Hutton, producer of the “All Eyez on Me” Tupac biopic (and former head of A&R for Interscope Records), was honored as a legend as well, as he accepted an award for his excellence in the film and music industry. Everyone who attended is no doubt counting the days until the next installment of the show that just set a new standard for R&B concerts in Hollywood. It was indeed a legendary night!